Every dog is unique as we know. We also know that every dog is assembled just a bit differently. Sure there are breed standards with length, height, girth, legs, arms and paws. Naturally my pup never seems to fit the size chart. 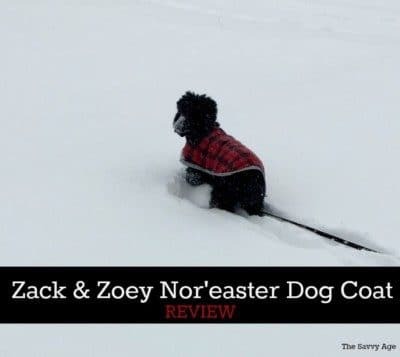 The design of the Zack & Zoey Nor’easter dog coat solves the sizing problem with its’ practical design and keeps my pup warm and fuzzy while dodging those pesky snow flakes and driving rain we encounter so frequently in the midwest. 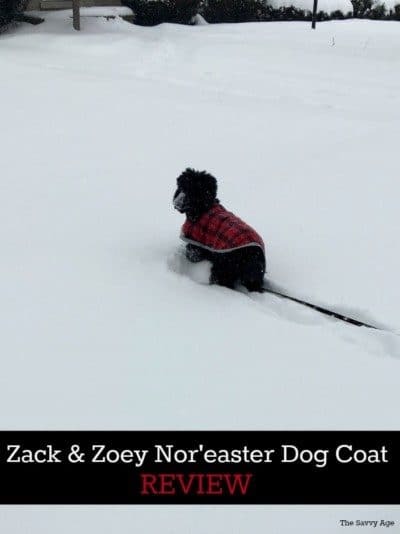 Cold weather coats for dogs that fit have been difficult to find; however, the Zack & Zoey Nor’easter coat has been a definite find and continues to be a favorite! But more importantly the dog likes the coat. How Does The Nor’Easter Fit? One of the most convenient features of the Nor’Easter are the two Velcro straps which attach to the dog around the neck and the underside. No trying to get the legs of a dog through a coat or putting the coat over the head of the dog. I have had limited luck with putting a dog coat or sweater over the head of a dog; this is however unique to each dog! What is no problem for some dogs/owners can be a major problem for others. This is a great dog for little dogs with the easy adjustable straps. It literally takes a few seconds to put the NorEaster on the dog. No muss and no fuss. Just as a human size 12 may or may not fit, the same is true for dog coats. I have tried quite a few and have found the sizes of the coats don’t always fit the size of the dog recommended by the manufacturer. My dog should be a small according to the size charts, but many times is more of a medium. In reality my dog is probably a small and a half which presents its’ own fit problems. The Nor’Easter has a flexible size chart which is particularly appealing for dogs whose measurements fall between the standard sizes. A large variety of sizes are available ranging from XXS to XXL. For dogs whose measurements fall between small and medium a small/medium size is available. I found this to be the perfect size for my dog which would be considered a medium size dog but whose bone structure is slender. The Nor’Easter comes in black, olive, orange, blue, red and purple. A second color or pattern is included with the coat as the coat is reversible. I ordered the coat in black. 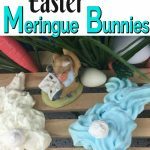 (Update! I now own two and love the two options with one side plain color with reflective strip and the other side is a warm and fuzzy plaid.) One side is waterproof shell with a reflective strip; the interior is fleece. The Nor’easter is a must when snowstorms strike… here is my pup navigating a nasty snowstorm. The coat definitely repels water and snow and my dog loves to keep the coat on inside as well in the cold winter months. The coat is easily washed in cold water on gentle and holds its’ form once washed. I highly recommend the Nor’Easter after trying many dog coats. The fit of the Nor’Easter, water repellent material and warm fleece interior is superior to its’ competitors. The coat can be purchased on Amazon and with now over 2,000 positive reviews I am not alone for this winner of a dog coat! Woof! 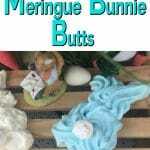 DIY Reindeer Ornament From Dog Bones!